You need to look beyond the simple question and get the whole story. 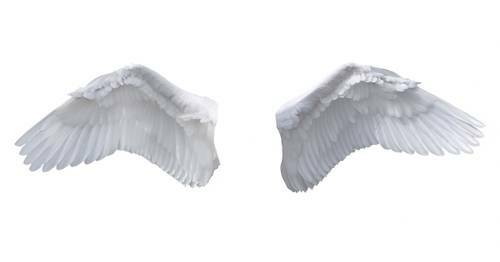 My federal tax professor (while earning my undergraduate accounting degree at Jacksonville University) taught me an important lesson that carries far beyond the complicated rules and regulations of the Internal Revenue Service (IRS). For every question he posed to the class, the correct answer was always….”It depends”. I was always amazed at how many times I fell for it too, on the surface his questions always seemed simple. However, the details of each individual decision mattered and the correct answer always depended on understanding the whole story. How fast will banks be forced to close their branches due to the massive move to digital banking? 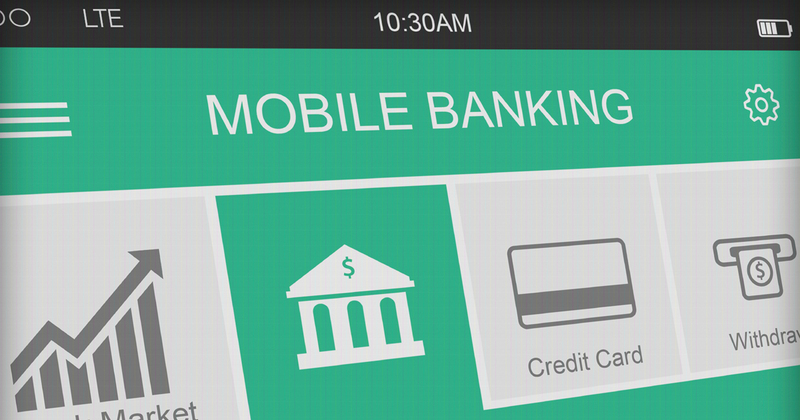 Bank of America customers conduct more business on their mobile phones than they do at 700 branches. Is it counter-intuitive that in seven out of the bank’s Top 15 markets, Bank of America held the number of branches to the same number, or even grew the number of branches from 2014 to 2015? Seems like a very slow pace of closing bank branches considering the massive move to digital described by Moynihan. 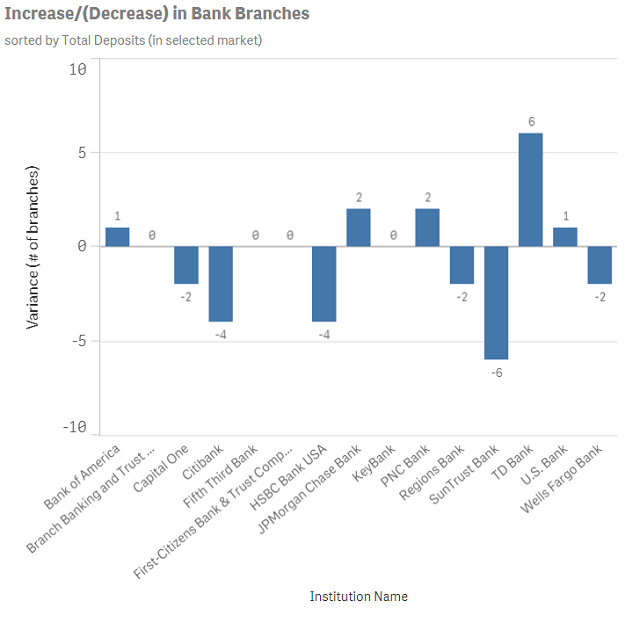 The next chart shows Bank of America’s top competitors in the seven cities that Bank of America did not reduce the number of branches. The original question of “how fast will banks be forced to close their branches” seems like a distant memory, perhaps even contradicting the “Netflix moment”. 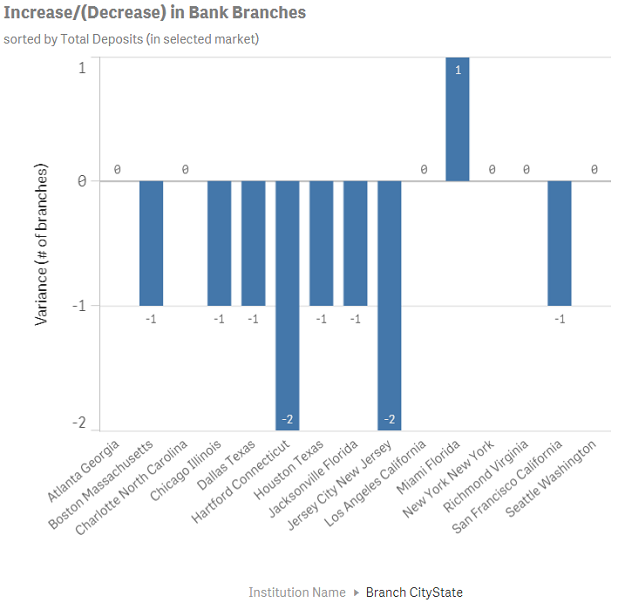 Over 50% of Bank of America’s competitors in these 7 cities are keeping the number of branches the same (or even increasing the number of branches). Customer behavior & mix – specifically the customer propensity to adopt new & emerging technology. In the case of Gen Xers and Millennials, this adoption rate is alarmingly high and a key driver to the transformation discussion being driven by FinTech. Market/Economic outlooks – granular analysis of market demographics provide insights to opportunities that can be captured by establishing or removing a physical presence in the form of a branch. 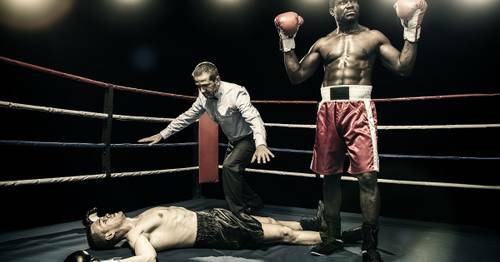 Innovation by competition – challenging enough to have full visibility to and deliver your own business model, what are your competitors' models and how do their moves effect your decisions? In summary, the viability of each of the 93,000 branches run by 6,358 banking institutions in the United States depends on changing customer patterns, market conditions and competitive threats. 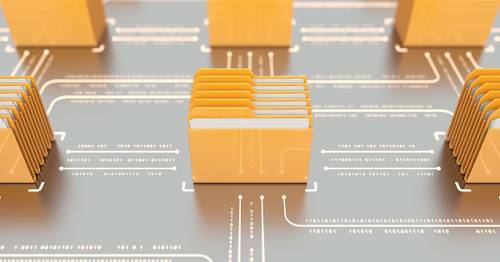 More critical is the question of whether your firm has the analytics capabilities necessary to navigate your firm’s walk (or sprint) from physical to digital as the change occurs.